I was five years old when Space: 1999 premiered in syndication on American television in September of 1975. I promptly fell in love with the series (especially after the episode "Dragon's Domain," in which a giant space monster devoured unlucky astronauts and spit out their steaming bones...) I had to have every toy, model, and book related to the series. It became my new obsession and every Saturday night I watched the series on WPIX channel 11 with devotion. 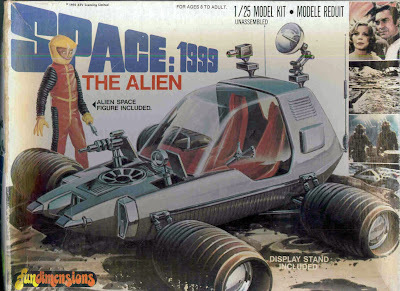 Soon, my father had built for me all of the great model kits from the series, including the Eagle spacecraft, the diorama of Moonbase Alpha, the warship Hawk and this toy, the Alien...which had absolutely nothing whatsoever to do with Space:1999. I don't know why model kit companies used to do this. They'd get a great license like Star Trek or Space:1999 and release all these great kits...and then release an additional kit under the franchise name that was never seen on the show. AMT released, for instance, an "Interplanetary UFO" kit that was never featured on Trek. 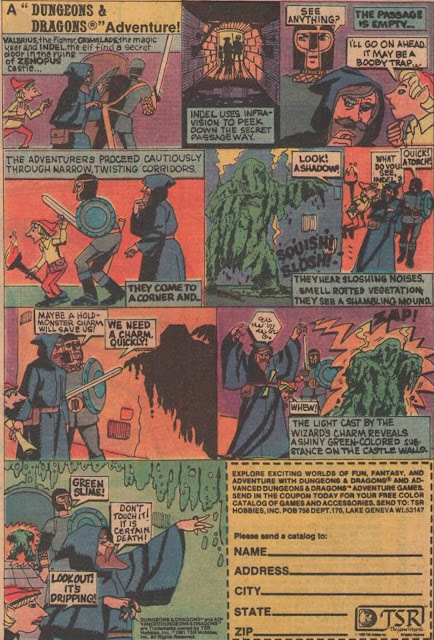 I just have to say that as a kid this marketing tactic really confused the hell out of me. I kept waiting for the characters on Space:1999 to run into an alien who was driving this groovy hot rod...and they never did. Now I view "the alien" vehicle as a really fascinating bit of design work and 1960s futurism (at least I think it is from the 1960s...it sure looks that way.) A couple of years, I got a mint-in-box model of the Alien anew and appreciated it more than ever.